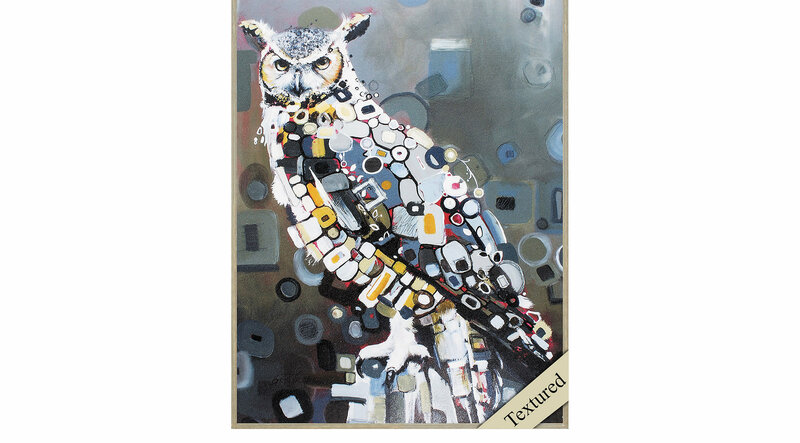 A unique owl that has an acrylic overlay hand-applied directly to the image. The acrylic dries with a textured look and feel. It is then framed without glass in a matted gunmetal molding. Comes ready to hang and is hand assembled in the USA!